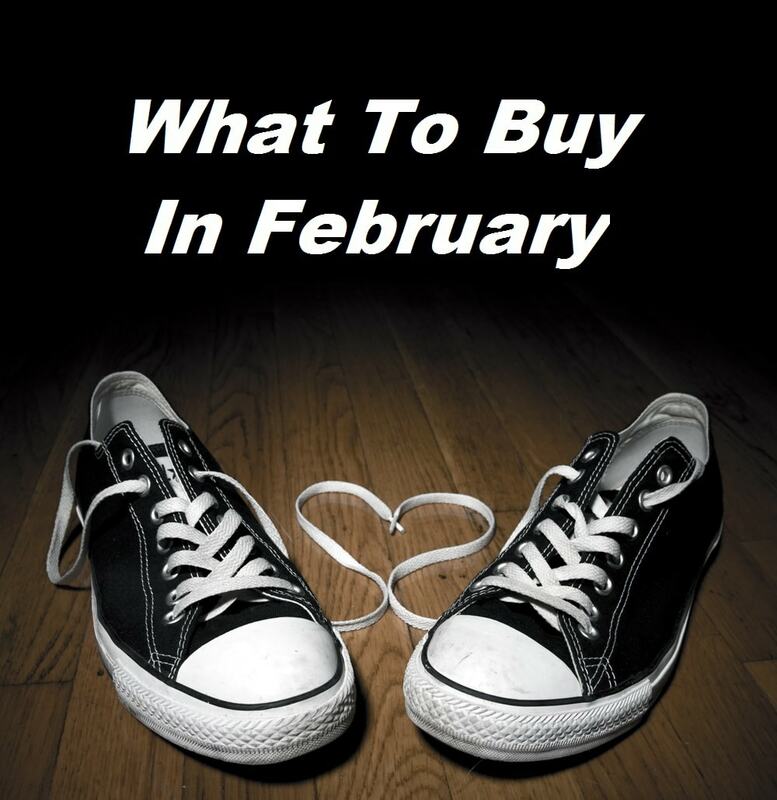 February happens to be the shortest month of the year, but it certainly doesn’t lack in savings. Presidents’ Day weekend is a great opportunity to get out of town, but it’s also an excellent time to shop. In years past, we’ve seen retailers start as early as February 5, and run through February 22nd. You might not find as big of a discount as you would like on a Valentine’s Day gift, but this month you’ll find deals on many necessities like winter coats and tax software. Take a look at the deals that I’ve found and start the year off with some savings. Super Bowl Sunday always means TV promotions. Now that many have forgotten about New Year’s fitness goals, prices will drop for fitness equipment. February is also a great time to buy skis, skates, and winter clothing. If you have kids, you may want to purchase a larger size for the next year and beyond. The average trade-in value for smartphones is around 40% higher in February than the rest of the year, so it’s as good a time as any to upgrade. The big Consumer Electronics Show last month previewed a number of new smartphone models, but they won’t hit the market until Spring. If you can live without having the very newest smartphone, February is a good time to find deals, and around Valentine’s Day you’ll often see “his & hers” or “2 for 1” offers. Just ahead of spring cleaning, look for markdowns on window treatments, carpet, and carpet cleaning services. February is typically still chilly, but with the season winding down, stores are eager to unload winter products and fill shelves with merchandise better suited for sunny days. That makes this month a good time to score big savings on scarves, gloves, winter clothing, winter sports gear and more. You may not have much time left to use your finds this season, but you’ll be prepared when next winter rolls around. Also look for markdowns on swimsuits. Summer styles first appear in January so February is usually the first markdown opportunity for swimsuits. Jewelry, sunglasses, hats, watches , belts, bags and wallets, along with other products, are discounted about 60 percent more in February compared to the rest of the year, so the timing is perfect for a style pick-me-up! If it’s a good Valentine’s Day gift, it’s probably on sale. Everything from lingerie to jewelry to flowers was deeply discounted in February last year, so we should expect to see a repeat this year. Valentine’s Day drives most of the spending in February so look for lots of competition for your dollars for jewelry, fragrance, chocolates and flowers. Don’t forget, February 15th is a great day to pick up potted plants that did not get purchased for Valentine’s Day! Chocolates taste just as good the next day too. Maybe they taste better knowing that you got them on sale! Soon we will be posting great deals on apparel, appliances, and electronics. Be sure and let us know if we can help you find the lowest price on a specific item you need. We’re happy to help! April feels far away, but it will be here in no time. Be on top of things this year and pick up a tax preparation kit now. Tax software sellers want to make sure that you use their software instead of another brand, so they often offer sales this early to grab you before their competitors do. Check out products like TurboTax and H&R Block Tax Software on Amazon. Canned foods– stock up on canned fruits, vegetables, canned meat like tuna. Tip– write the purchase date in permanent marker on your canned foods so you can use them in reverse order of purchase. Look for markdowns on pot roasts, chuck steak, chicken breasts and chicken wings. All the popular food that consumers were buying for the Super Bowl may now be marked down. Look for good deals on chips, dips, and other snack items. Use our FREE Tools to help you to save money every day! FREE Retail Promo Code Database – just type in the name of the store and all available retail promo codes, free shipping offers and store promotions will be displayed.